is the co-founder of NOVA Friends of Refugees, a grassroots coalition dedicated to helping and welcoming refugees. Wendy immigrated to the US from China when she was twelve years old. Her humble, blue-collar immigrant background helped her appreciate the courage and tenacity of the refugees and see the talents they could bring to America. Wendy leads the 600-member coalition in helping refugees through advocacy, social services, and community engagement. immigrated to Germany in 1991 as a civil war refugee from Croatia, former Yugoslavia. In Germany, Vanda served as the spokesperson for immigrant and refugee policy for a major German political party in Frankfurt/ Main and the Executive Director for the Organization Against Sexual and Racist Exploitation. Currently, Vanda leads strategic partnership effort to influence public perception of refugees in positive/celebratory way, identify innovative partnership solutions for humanitarian responses, and develop long-term strategy to increase public understanding of the global displacement crisis. A growth strategist by day, social innovator by heart, Jocelyn leads change by empathizing and learning from all those around. Anna Harty works for the International Women's Human Rights Clinic and Domestic Violence Clinic at Georgetown Law. She is passionate about social justice and service. Sarah Sukin brings her passion for interdisciplinary creativity, inclusion, and diversity to the One Journey movement as a graphic designer. I was drawn to take up the cause to advocate for refugees in our communities. One Journey’s mission to advocate and celebrate refugees is a cause truly worth fighting for. (Music Committee) When art is used as a platform to express thoughts and understand crisis, people achieve a state of empathy and connection that is hard to find elsewhere. As an artist, I am honored to be a part of helping this mission come to fruition. (Dance Committee) Sarah is a research professional in the DC area dedicated to using the arts as a platform for dialogue and growth. She is passionate about assisting immigrants and refugees and appreciates what they add to our local and national communities. (Sports Committee) One of the most effective ways to build trust between individuals on a human level is through sports. Growing up playing sports, I saw this first hand and created lifelong friendships with people I never would have interacted with outside of sports. Ahmad is a graduate student at American University. He is part of the student engagement and soccer event planning teams. Margaret Hodson studies international politics and Arabic at Georgetown University's School of Foreign Service and works with the 1JF student engagement team. Aida is a social entrepreneur, artist and the Founder of AIDA Creatives, a firm aimed to bridge the worlds of the creative economy and social impact. Her purpose is to unlock human potential and bring one's 'Why' to life. Currently, as the Manager of Administration at Washington National Cathedral, Cyndie has a broad range of experience in administrative/logistical affairs and operations, ranging from human resources and security to development and special events. Ahmad Beetar is a social activist, entrepreneur, and ex-journalist from Syria, who moved to the U.S., 5-years ago due to the escalated situation there. In Syria, he led the “Eye on Aleppo” Intitiative, a cultural and volunteering movement, which attracted more than 20,000 members. He was active in many local and national NGOs. Jack DiMatteo is a fellow with When We All Vote and a graduate student at the University of Virginia, where he hosted a One Journey film screening and panel discussion in February 2019. Khadija is a Moroccan immigrant who is very passionate about immigrants and refugees issues. Khadija is a believer that every one of us should be “what’s right” with the world we live in. She brings her finance expertise to the 1 Journey Festival movement. 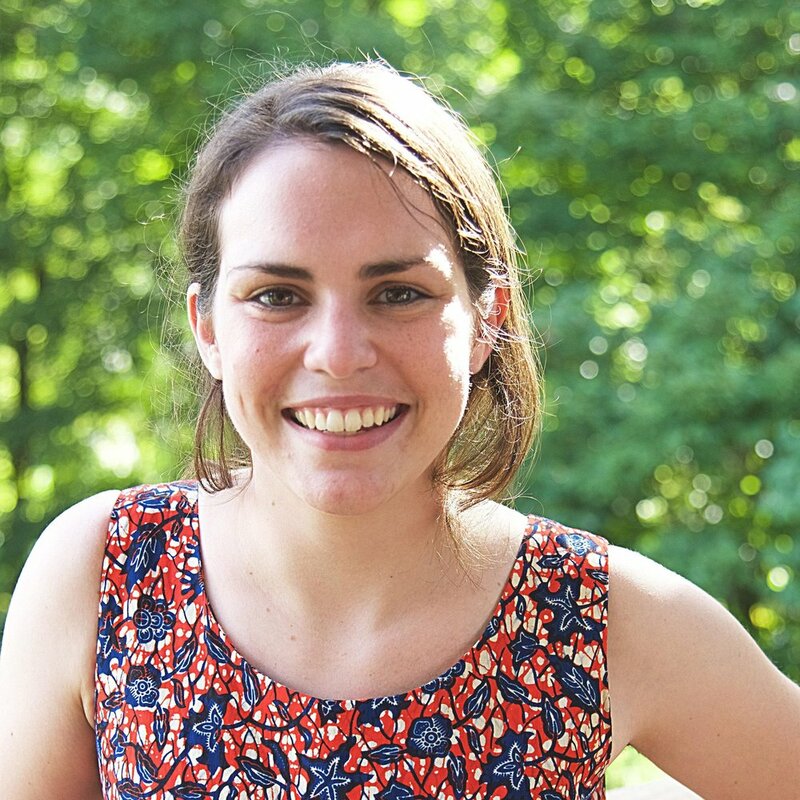 Maggie is a lead for the Take Action tent, bringing together refugee nonprofit partners to build a more engaged and inclusive community in DC and the broader area. Wolfram Alderson's career in pursuit of social and environmental change spans across four decades. He currently serves as CEO of the Hypoglycemia Support Foundation and consults in diverse areas of social change (Impacts.Social). The broad focus of his lifetime of work has been improving human and environmental health – often by developing programs and organizations that accomplish both. In addition to being a social change agent, Wolfram is also a visual artist and writer (wolframalderson.com), and has built two major therapeutic arts programs, for refugees and abused children. As a Syrian-born and long-time employee at Accenture, I learned about the I&D efforts to support refugees within Accenture and joined the One Journey Festival planning committee. I quickly saw the extraordinary impact One Journey has had within Accenture and within our community by spreading awareness and uplifting refugee stories.